First, a little bit of an update on my setup. After noticing it available for a good price from B&H Photo Video, I bought a second Zotac GTX 1060 3GB. And I pulled the setup out of the 4U chassis (Athlon X4 with RX 580) and replaced it with one of my 990FX boards and the two GTX 1060s. Running Windows 10 as well to allow for overclocking. Interestingly, the acquired GTX 1060 performs about 25% lower than the one I already had, despite being the same model running at about the same clocks. That is why I wanted to put these on Windows 10. 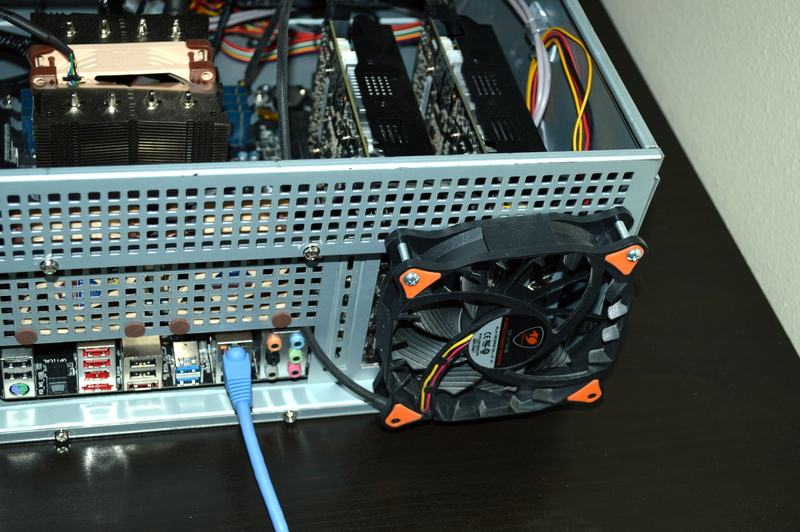 Overclocking just the memory by +500 on both cards brought the combined hashrate to a little north of 41MH/s. But it ran HOT. As in climbing easily over 80C. Couldn’t last 24 hours before shutting down. So something needed to be done. Inside the 4U chassis, there isn’t much intake airflow. And virtually no exhaust. 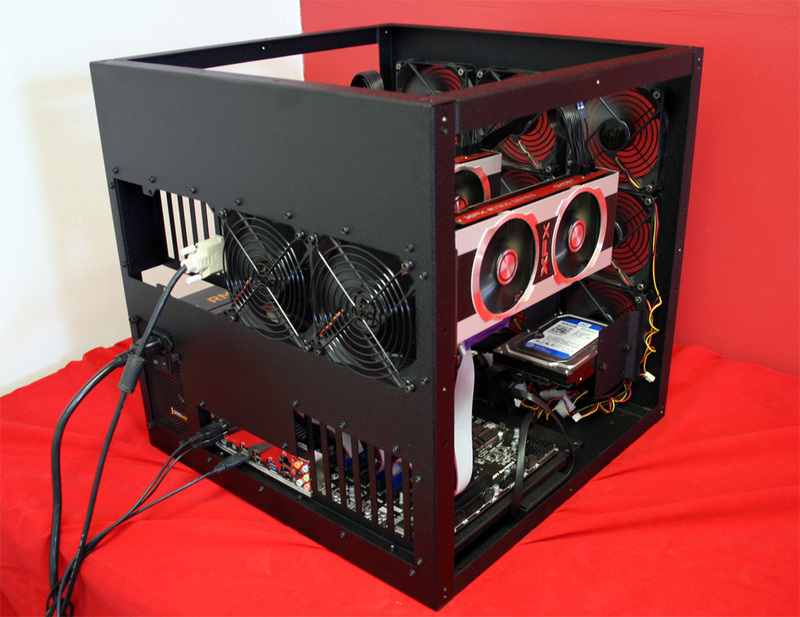 The solution drew inspiration from the Mountain Mods Gold Digger chassis lineup (Ascension and U2UFO), which features 20-slot expansion card mounting for mounting graphics cards. But there’s something else: the cards are recessed behind 25mm (1 in) deep 120mm fan mounts. The fans are for drawing heat away from the cards. While not necessary for blower cards, it’s essential for custom cooled cards. So I did the next best thing initially: loosely attached a 120mm Corsair SP120 to the rear of the chassis right behind the graphics cards. With it running at full speed. It has been a while since I had these in an actual system, so I forgot how loud they could be. The result? So one card is holding fine at 72C, while the other is running at a nice, chilly 60C. With the hotter card being the one closer to chassis sidewall. But with the SP120 running loud, I decided against using that particular fan and attached a Bitspower Spectre Pro to the back instead. Initially the 120mm fan, then a 140mm fan. But I couldn’t quite get the result I was aiming for, and the reason is the lesser static pressure. Even with removing the expansion slot covers for the slots immediately adjacent to the GPU coolers to allow for better airflow. 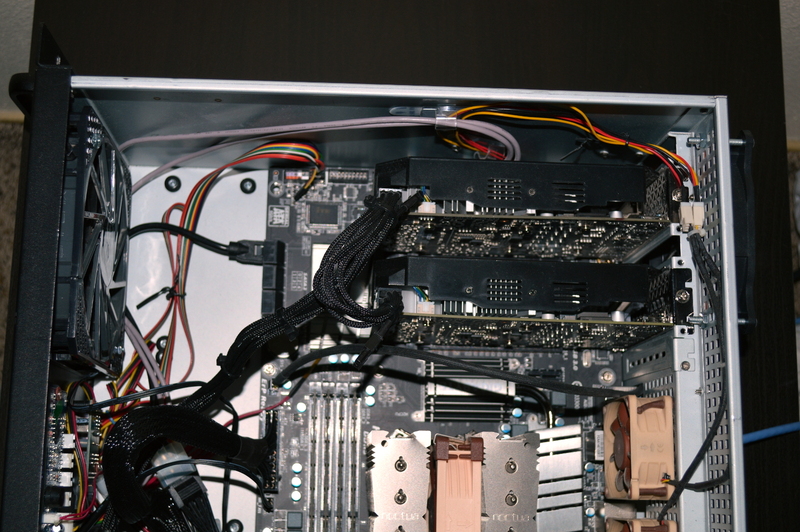 The chassis initially had a Cougar CF-V12HPB for airflow onto the cards. I switched that for a Bitfenix Spectre Pro 140mm. The fan has 120mm fan mount holes as well. And then mounted the Cougar fan on the rear behind the cards since it has better static pressure while being able to push ~60 CFM. So that gives decent airflow into the chassis and onto the GTX 1060s with a quieter 120mm fan behind the cards pulling the hot air away. Both cards run in the low to mid 70s while mining. 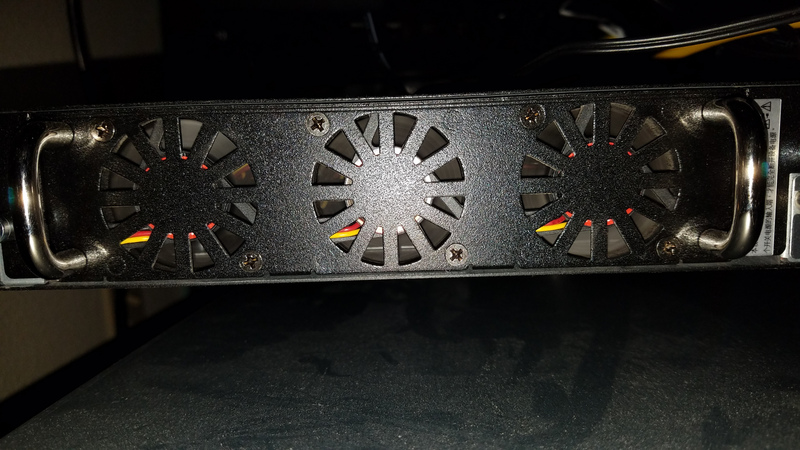 What would likely allow for better cooling, since it would allow for better airflow, is sealing the inset area of the chassis so the fan is all but guaranteed to be sucking air from just the cards. Likely with thick weatherstripping or something like that. So perhaps that’ll be a future revisit of this depending on what I can find. Back in 2015 I wrote about Stephanie Hughes and how she was coded because she wasn’t wearing a crew neck shirt as her school dress code mandated. Instead she chose to wear a tank top with a sweater-like garment over top. Remy claims she was coded for not wearing a bra. And I’m not buying it. Not for a moment. Instead, I think based on the hysteria around school dress codes and the apparent disproportionate penalization of young women, she manufactured the idea she was coded for not wearing a bra when the likely reason she was coded is a bit more… obvious. And what’s allowing her claim to propagate comes down to two simple things: the school won’t comment on such situations, and, again, the recent hysteria regarding dress codes, including attempts to label dress codes “fashion censorship”. Again, I think it’s obvious why Remy was coded for her choice of apparel. And that she manufactured the statement that she got coded for not wearing a bra to get around the fact that she was wearing something blatantly in violation of her school’s dress code and is hoping to shame the administration for the fact she got called on it. In other words, scream the equivalent of “pervert” at school administrators, likely only male school administrators as well, for having the audacity to call out young women who violate them. The dress code for Remy’s high school also points this out: “Students who repeatedly dress inappropriately for school may be suspended for defiance.” Just as I’ve said that repeated violation of a workplace dress code is grounds for termination. One lesson all of us should learn ahead of this Christmas given everything that’s happened politically in 2017 and also 2016: RIGHTS limit how the government interacts with the People, PRINCIPLES limit how you interact with everyone else. That is why I’ve spent much of the last several years continually defending PRINCIPLES over rights. Without the underlying principles of free speech and the presumption of innocence, for example, there is no foundation for the RIGHTS derived from those principles. Yet more and more I see those principles continually violated by people who claim to stand up for the rights derived from those principles. Lay judgment against others only by the same measure you expect judgment to be laid on you. Treat others how you want to be treated. Respect must always be earned by how you treat others. Do not be so quick to deduce motive or malice from someone’s actions. Presume someone is innocent when that person is accused of something, regardless of the accusation, regardless of the accuser, and regardless of who is being accused. I’m certainly not perfect on these principles, but I at least try. Unlike a lot of others in the United States and the world. At the same time, learn to be grateful for what you have, not envious of what others have. Do not seek to take what you have not earned. And above all, no one can legitimately do for you or someone else that which you cannot yourself morally or legally do. All the various discussions of incidents wherein ISPs have done “shady things” all ignore WHY they made those moves over the simple fact that it happened. Instead the ready assumption is that ISPs did it to extort money from the content platforms, and this has led to presumptions of things like “micro transactions” and all kinds of other fear mongering merely “because they can” because ISPs in many regions hold a monopoly. Except businesses typically try to avoid losing customers. A company having a monopoly in a region doesn’t mean they can just do what they want. Not when they still have to answer to municipalities (who answer to voters). And if a business artificially prices customers off their service, that’s not exactly a good thing. BitTorrent was blocked by ComCast because BitTorrent is designed to saturate an Internet connection when downloading. Even prior to P2P, download managers already existed with the intent of taking advantage of HTTP protocol flexibility to download files from multiple sources (aka “mirrors”) with the intent of saturating your Internet connection. P2P sharing arguably started with Napster, which gave rise to other P2P network protocols like Gnutella and, eventually, BitTorrent. Unless throttled in the client software, P2P is designed to saturate an Internet connection. And will saturate an Internet connection, which can affect network availability in a home or apartment, college campus (something I had fun dealing with when I was in college), or a local region. Video streaming is also designed to saturate a connection. Video streaming protocols will change quality settings based on bandwidth availability between the sender and receiver. We’ve all seen this with YouTube and streamers have likely experienced such as well trying to stream via YouTube or Twitch. All of that has the potential to affect availability for everyone. So much of the hyperbole over what could happen if the “Open Internet Order” is repealed seems to avoid the question of why ISPs did those “shady” things and merely looks to the fact that it happened. And that does nothing to further any understanding. And it’s fueling a lot of baseless speculation as well. And the idea of “micro transactions” and extortion comes from a very, very broad misunderstanding of the whole “fast lane” concept. Recall where I said that video streaming is designed to saturate a connection up to the maximum throughput needed to stream the video at the requested quality settings. And the sender will throttle the video stream if congestion is encountered. In other words, video is very bandwidth intense. And given that Netflix and YouTube both support 4K streaming (likely with few consumers right now), this isn’t a problem going away any time soon. Enter the “fast lanes”. While it’s been portrayed as ISPs trying to extort money from Netflix, there’s actually a much more benign motive here: getting Netflix to help upgrade the infrastructure needed to support their video streaming. Since it was the start of their streaming service, and the eventual consumption of it by millions of people, that led to massive degradation in Internet service for millions of other customers who weren’t streaming Netflix or much else. To alleviate traffic congestion, many metropolitan areas have HOV lanes, or “high occupancy vehicle” lanes to encourage carpooling. The degree to which this is successful being highly debatable. The “fast lane” concept for the Internet was similar. But when the idea was first mentioned, many took it to mean that ISPs were going to artificially throttle websites who don’t pay up. When what it actually means is providing a separate bandwidth route for bandwidth-intense applications. Specifically video streaming. And since these were sources of complaints among the general populace — whose only knowledge of computer networking, let alone the structure of the Internet, isn’t much — this led the FCC to talk about trying to regulate the Internet infrastructure. Since regulating the Internet is something that governments across the world have been trying to do for at last the last 15 years. And since they haven’t had much luck regulating what happens on the Internet, regulating the infrastructure is the next best thing. Misconceptions and misunderstandings, and the speculation and doomsday predictions that have come from all of that, lead to bad policy. And it’s fueling much of the current discussion on net neutrality. Note: The above is a comment I attempted to put on a video for Paul’s Hardware, but the comment appears to have been filtered or deleted. It’s finally happened. I really wish I could say I’m surprised by this, but I would be lying. Dress code enforcement now means female fashion censorship. I wish I was making this up. And I wish I hadn’t already called it. This comes from Fashion Beans writer Brooke Geller: “Planes, Trains, And School Dances: Censorship In Women’s Fashion“. The article was also only recently published. From what I could find embedded in the HTML for the article (Ctrl+U in the browser), it was published on November 16, and updated a few days later. Not “apparently inappropriate”, but in violation of the school dress code. In all incidents I’ve evaluated on this blog, I’ve not found ONE that is not a dress code violation. I’ve said before that school administrators need to STOP giving this as a reason for enforcing the dress code. Instead of manufacturing an excuse, or saying the young women in question will be “distractions”, the administrators need to merely state they are enforcing the dress code as written. A lot of dress codes are written objectively, and can be objectively enforced. The administrators don’t need to say anything beyond that. And should have copies of the dress code at the ready when pressed. The problem, however, is the “distraction” excuse has become the thing to which female students and feminists have latched. And it has led to the narrative that dress codes are inherently sexist and are even being used to sexualize prepubescent girls. Okay let’s look into these. Macy Edgerly went to school in cropped leggings and a long shirt. At the time, she was a student in the Orangefield Independent School District. While distraction was cited in the immediate for Macy being coded, her sister admitted on Facebook that the outfit Macy chose violated the dress code. The dress code allegedly allowed leggings, but only if what was worn over them adhered to the “fingertip rule” — it must extend beyond the tips of the fingers when the arms are extended loosely at the sides. Macy’s sister, Erica, admitted the shirt didn’t fit that definition. Rose Lynn’s story comes from Oklahoma. What Brooke is omitting from her statement is Rose’s top was a tank top. Which is about universally disallowed under school dress codes. Stephanie Dunn’s story I’ve already tackled. Like Rose’s story, the concern in question was the tank top. All students were required to wear a crew-neck shirt. No exceptions. Students may wear yoga pants, tights, leggings, or jeggings as long as they are used as an undergarment covered by shorts, skirts, or dresses that are at least no higher than three inches above the bend of the back of the knee. In other words, leggings are not to be pants on their own, which is what Deanna chose to do. Again, she was objectively in violation of her school’s dress code. The problem with Kelsey’s shirt is the exposed middle in the top. If it was a completely solid top, she likely would’ve been fine. Even though she has a large bust. And I say this as a husband to a woman with large breasts. Who has herself gone through dress code issues as well — and who defended herself by pulling out her copy of the dress code every time an issue has come up. Given that it is both a parent’s and student’s responsibility to know and comply with the dress code, the mother’s opinion is irrelevant. If a student is determined to be in violation of the dress code, they will be kept from the classroom. Just as they would also be sent home from work for not complying with a workplace’s dress code. And again, the distraction excuse should not be made by school administrators. Instead where dress code violations occur, they need only cite the dress code. No it isn’t in the least unfair. After all we don’t say that criminal laws are racist if they are disproportionately enforced against one demographic. Okay, rational people don’t say that. We aren’t repealing murder laws because blacks are more likely to be murder perpetrators. Yet I don’t think anyone is saying that murder laws are racist. Or at least I hope not. If the policy is demonstrably neutral, then as long as the disproportionate enforcement isn’t due to targeting one particular demographic, the policy doesn’t need to change, regardless of how unfair it might seem. However there are cases where policies end up having a disparate impact. It’s important that schools look at the data and recognize when one group is disproportionally affected by a seemingly neutral policy. In the case of dress code restrictions, if the policies are penalizing female students or transgender students or any other group at rates higher than others, it should be investigated and the policy creators should be willing to adjust accordingly. Again, as long the policy itself is demonstrably neutral, then what matters is whether the enforcement is demographically neutral, even if one demographic is being penalized more under the policy. The only thing the disproportionate penalization shows is one group’s greater likelihood to disobey the policy. Again, we don’t repeal or massage laws due to one demographic being more likely to violate them. You can use individual situations as a push to reevaluate the codes to either be more specific or to allow something not previously allowed. But don’t use the disproportionate likelihood that young women will be penalized as a reason to reevaluate dress codes. Especially when MOST young women comply with the dress codes without issue or complaint. And here is where things really start to take a turn. Aside from citing incidents of dress code enforcement on commercial flights, the rest of her article latches onto the fallacious “distraction” excuse and really flies with it. Perpetuating the myth that dress codes are inherently sexist, only because they are being disproportionately enforced against young women. And going even further by calling dress codes “fashion censorship”. Let’s see if I can inject some rationality back into this discussion, since all rationality appears to have been flown up to 40,000 feet and dropped out the back of a cargo plane. First and foremost is the obvious: people largely don’t like being told they cannot do something. Especially if the action in question is one for which there is no demonstrable or perceivable harm on anyone else. And how a person dresses readily falls into that. Brooke’s biggest flaw with the article is not making any mention of workplaces and employers. None. Search her article for “employ”, and you’ll see it come up once, when mentioning “employee passes” with regard to United Airlines. And “work” shows up three times, and none in relation to a workplace. Search for “job” and you won’t find it. And I really have to wonder why. Actually I know why she never mentioned workplaces and employers. It completely invalidates her argument and the statements she quotes from Tricia Berry. While casual workplaces are becoming more common, there are still dress codes that still apply, restrictions on what “casual” dress is allowed. A lot of workplaces require business casual or business professional dress. And in some workplaces, you have a uniform requirement. When I worked for K-Mart back in 1998 into 1999, first as a cashier then as a shift supervisor, our dress code was pretty simple: white collared shirt (golf shirt or button-down) with the red vest over top and name tag prominently visible. Tan khakis. Jeans were not allowed. Shoes had to be one color (white, black, or brown) and had to look presentable (i.e. not torn up or falling apart). Collared shirts with the K-Mart logo were allowed as well. In the real world, what you think “looks fine” might get you sent home from work. Without pay if you’re hourly. And repeated noncompliance with a dress code is grounds for termination. Dress codes are enforced at school to prepare students for them after school. Students are removed from school for dress code violations just as they will be removed from work for dress code violations. And school is about educating and preparing our youth for life on their own as an adult. Imagine if all schools required business casual dress or a uniform. 1 in 5 schools do have uniform requirements. But perhaps we need to start having that nationwide, or requiring business casual dress at least. Again to ensure there is virtually no subjectivity from the equation. And, again, school administrators and teachers need only cite the dress code when coding students for violations. Stop making the “distraction” excuse. Just cite the dress code, and have copies of it on hand so you can point out the violation specifically. For about the last month, I’ve been Ethereum mining, putting a GTX 1060 (“Rack 2U GPU Compute Node“) and 1070 (“Mira“), and an R9 290X (from “Absinthe“) at this. In part to see what the hardware can do. And I’ve been rather impressed with the R9’s performance that I decided to build another standalone node for Ethereum mining using another AMD graphics card. And the graphics card is the only new contribution to this, the only hardware I didn’t have previously. Everything else was hardware I already had on hand. 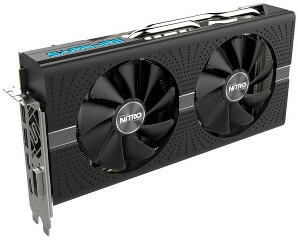 That is the Sapphire Nitro+ RX 580. Specifically I picked up the 4GB model. My only slight concern was power consumption. I managed to find the Nitro+ card as an open box at Micro Center for a very nice markdown. If not for the markdown, however, I would not have gone with this as it’s one of the more expensive RX 580s on the market. I would’ve instead looked for a lesser RX 580, or possibly looked for an RX 570 instead. 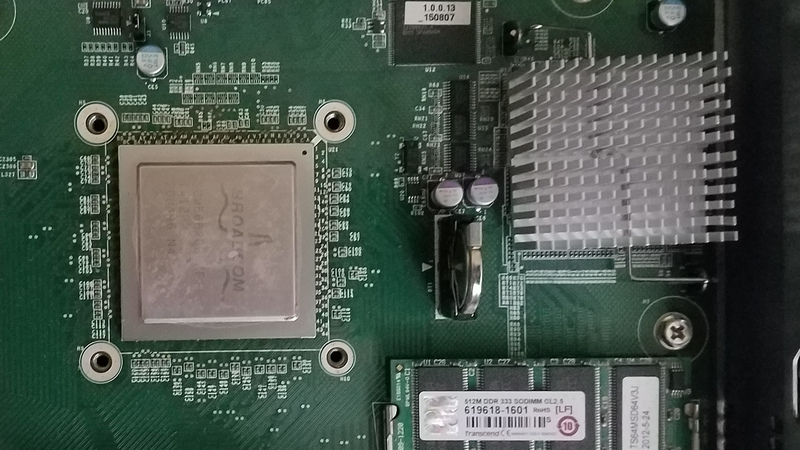 In my 10 Gigabit Ethernet series, I mentioned building a custom switch from the above hardware. 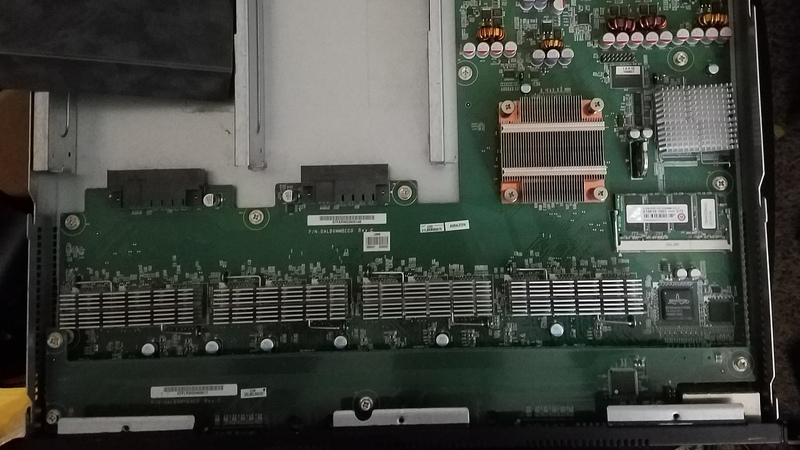 And after disassembling that switch to replace it with an off-the-shelf 10GbE SFP+ switch, I never reprovisioned that hardware for anything else, despite planning to do so. So assembling the system was pretty straightforward: drop the new graphics card in, plug it up, find something to act as primary storage, and go. One thing that was frustratingly strange: Ubuntu did NOT want to play nice with the onboard Gigabit NIC, or with a separate TP-Link NIC I attempted to use. I was able to get the networking functional with another HP 4-port Gigabit NIC. Fedora 26, however, had no issues playing nice with the onboard NIC. But this was only a temporary build. I had no intention of leaving this card plugged into the FX-8350. Again the initial build was in this merely because it was mostly prepared. And I initially couldn’t find the mainboard and processor I wanted to use to drive this mining machine. I did find it later that day, so I decided to let the system run and I’d swap things out the next day. Wait, a 12 year-old platform driving a modern graphics card? I know what you might be thinking: bottleneck! Except…. no. While this combination certainly is not powerful enough to drive this card for gaming, it’s more than enough for computational tasks such as BOINC, Folding@Home (though you’d really want a better CPU), and Ethereum mining. The aforementioned R9 290X is running on an Athlon 64 X2 3800+ system without a problem. It overtook my GTX 1060 on reported shares, despite the 1060 having a several day head start, and is reporting a better hash rate than my GTX 1070. So… yeah. As I’ve pointed out before, most who scream “bottleneck” are those who have no clue how all of this stuff works together. I thought system memory was holding back the mining software, so I swapped 4GB into the system. No difference. Had a slight improvement swapping in Claymore’s Dual-Miner for the original ethminer, but still wasn’t anywhere near what I thought I should’ve been seeing. The GTX 1060 rig had been offline for a few days, so I moved the mainboard (Athlon X4 860k) from that into the 4U chassis and installed the RX 580 into that, then swapped out Ubuntu for Windows 10. Pull down the Claymore miner for Windows, and attempt to run it… No significant difference in hash rate. Which rules out the platform as the culprit. And I didn’t have any reason to think it would be. Instead the platform change was due to my concern the Linux driver may have been holding it back, thinking there would be a performance boost by running the Windows driver. And out of the box there wasn’t. But setting the “GPU Workload” setting to “Compute” instead of “Gaming” boosted the hash rate to about 22.5MH/s. Time to overclock. One thing I didn’t realize ahead of this: the 4GB RX cards have their memory clocked at 1750MHz, while the 8GB RX cards have memory clocked at 2000MHz. Which definitely explains the lackluster performance I had out of the box — and likely why it was returned to Micro Center. And in reading about how to get better mining performance, everything I read said to focus on memory, not core speed. So with MSI Afterburner, I first turned up the fan to drop the core temperature. Then I started bumping the memory with the miner running in the background to provide an instant stability and performance check. I was able to push it to 2050MHz. At 2100MHz, the system locked up. I was not interested in dialing it in any further, as any improvements would’ve been within margin of error. Final verdict: ~26MH/s. About on par with my GTX 1070. And almost 45% increase in performance by setting the driver to Compute and overclocking the memory. The fact I was able to get 24.4MH/s out of the R9 290X, running the AMD driver on Ubuntu Server with no additional configuration (since I don’t know if you can configure it further), shows I must have a really, really good R9 290X, since it was only 10% lower than my GTX 1070 on reported hash rates from the mining software. Until I swapped out ethminer for Claymore’s miner. Then it overtook my GTX 1070 on hash rate. I mentioned before that this isn’t the only mining rig I have set up currently. Along with Mira, I have two other systems, one with the aforementioned R9 290X and GTX 1060, both running Ubuntu Server 16.04.3 LTS and using Claymore’s miner. Right now this system is sitting in an open-style setup. I’m working to move it, and the water cooling setup, into another 4U chassis. I just need to, first, find a DDC pump or possibly use an aquarium pump inside a custom reservoir. Not much to write home about at the moment. I’m considering swapping this into one of the 990FX platforms to use Windows 10 so I can overclock it and see if I can get any additional performance from it. Since it’s a hell of a lot easier to overclock a graphics card on Windows. The GTX 1060 also is not water cooled, but that might change as well, though using an AIO and not a custom loop. 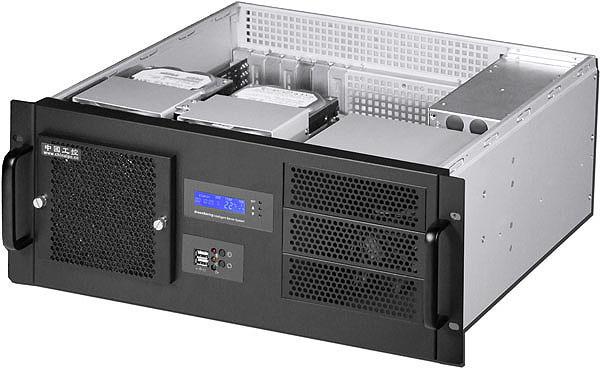 Which is a reason to swap it into a 4U chassis and out of the 2U chassis that currently houses it. But I’d also need another rack to hold that. There really are only three graphics cards to recommend out of what’s on the market, in my opinion: the GTX 1060, RX 570, or RX 580. As demonstrated, the RX 580 is the better performer, but also has higher power requirements compared to the GTX 1060. So if you pick up a GTX 1060, you can save a little money and get the 3GB model and still have a decent hashrate. 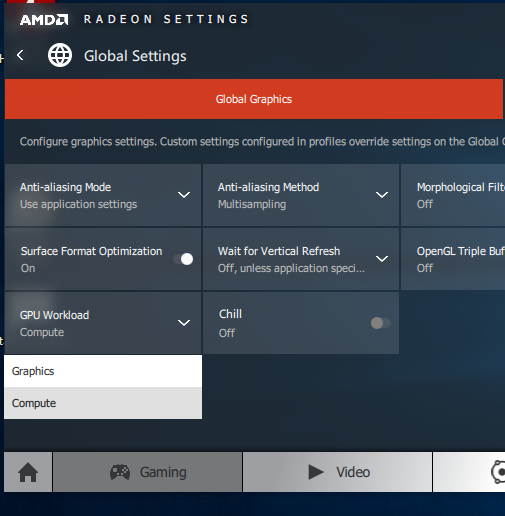 You can even try overclocking it on Windows if you desire. The 6GB model may give you better performance (since it has more CUDA cores), but it’s up to you as to whether you feel it’s worth the extra cost. The mini versions work well, but the full-length cards will provide better cooling on the core. For AMD RX cards, run those on a Windows system with the driver set to “Compute”. You can also save a little money and grab the 4GB version. Just make sure to overclock the memory. If you found this article informative, consider dropping me a donation via PayPal or ETH. Over in the sidebar to the right, you’ll notice I have a statement saying that I reserve the right to publicly post any solicitations I receive. I’d been hesitant to actually do this, thinking the warning would be deterrent enough. But since that hasn’t been the case, and the most recent solicitation is completely nonsensical, time to start doing it. This latest solicitation is from Caroline Langley. I actually didn’t see the original solicitation as it must’ve been filtered to my spam folder, or I just deleted it without opening it. But I received a follow-up from her today. I was just browsing your website and saw you were interested in tech from this page (http://www.kennethballard.com/?p=4398). So I thought you might also be interested in linking to a resource we put together on the ways technology is improving our health. I think the sidebar should’ve been hint enough that I don’t want any solicitations. And the e-mail shows that she basically just found an article on my blog to call out without actually reading it. Since the article, “On improving our situation regarding firearms“, has nothing to do with health and wellness, and doesn’t mention technology in any fashion beyond improving NICS. At least previous solicitations I’ve received, most of them anyway, were actually relevant to the article they were calling out. This…. this is beyond nonsensical. So Caroline, if you happen across this, consider this my response since I’m not going to respond directly to your e-mail. These numbers come from the CDC WISQARS Fatal Injury Report and Nonfatal Injury Report, cross-referenced with the FBI Uniform Crime Report. All data is for calendar year 2015. Hover over each slice of the pie to see the data. This data is also incomplete as I need to cross-reference the population numbers provided by the CDC with the murder offender and victim numbers provided by the FBI to get an “offenders per 100,000” and “murder victims per 100,000”, so this article will be amended at a later date to represent that. More white males overall killing themselves by firearm than all other race and gender demographics, combined. On an uninterrupted upward trend since 2007. In rate per 100,000, blacks outpace all other racial groups in all age categories except 75-79 years and 85+. Males outnumber females in overall numbers of murder victims, and across all age groups except 75+. Blacks outnumber other races for murder victims from age groups 13 to 39.